MS is a nervous system disease that affects the brain and the spinal cord. The body's immune system eats away at the protective sheath (myelin) that covers the nerves. Damage to the myelin sheath interferes in communication between the brain, spinal cord and other areas of one's body. 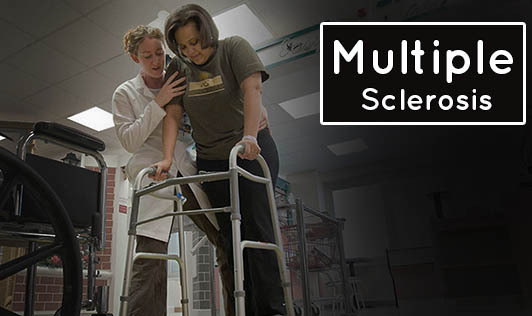 Multiple sclerosis affects women more than men and often begins between the ages of 20 and 40. Initially, the disease is mild, but some people lose the ability to walk, write and speak. The cause for MS is unknown, but it is believed to be an autoimmune disease. Researchers and doctors are unsure as to why MS develops in some people and not others. Also, a combination of factors, ranging from heredity to childhood infections, may play a role. There is no single cure for multiple sclerosis. But, medicines may slow it down and control the symptoms. A medical history, physical exam, neurological exam, MRI and other tests are required to diagnose it. If you develop or experience Multiple Sclerosis symptoms, contact your doctor!